Give me fuel give me Fire give me that which I Desire-James Hetfield. That was the motto of Geekonix Association — was our motto. But let’s just take the time capsule back to the year 2006. 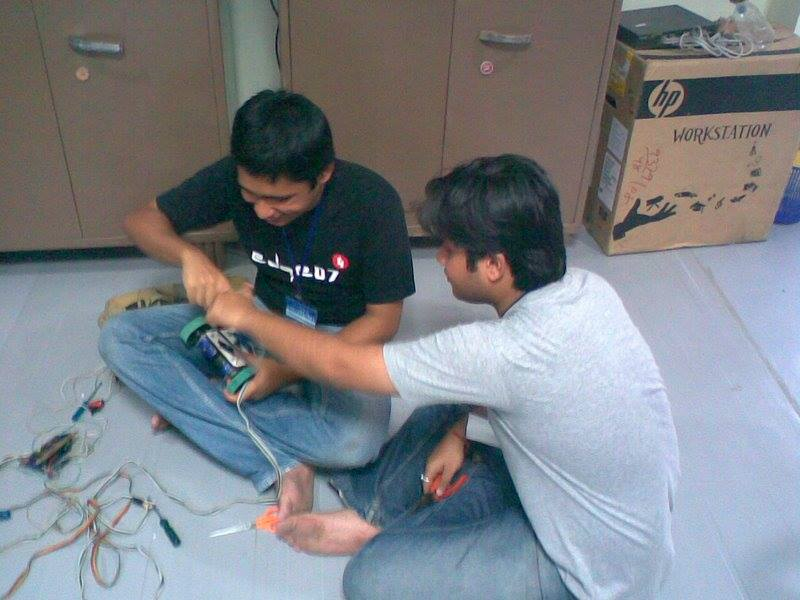 2006 was the year I got admitted to Techno India, a privately owned engineering college in the middle of Kolkata. Well, not exactly middle, it was situated at the Electronic Complex in Salt Lake Sector V — what now is the IT hub of Kolkata. Like every other student at that time, I was curious, excited, somewhat scared to start a new journey and above all doing that alone. Soon those feelings got mixed with the excitement of the new life and the pressure that comes with it. But like me, many of us over-enthusiastic college goers always felt like we were lacking something, there was this urge to bring about a change or make a difference. Most of us, at that time, didn’t know what that something or the difference was, let alone proposing one. It all started with a Yahoo Group — a common chat forum for all us like minded people to hang out and voice our thoughts. A few discussions were as generic as using linux, making linux user groups (this was still back in 2006), exchanging ideas about softwares and projects (these were the days of dial up internet). For me and a few of us, it all started one day with a seminar organized by the senior Geekonix members to introduce us to the club which was trying to make its presence felt outside of the Yahoo group. Shortly afterwards we received an email from Prasenjit Gupta(who at that time was in his 2nd year in EIE) with a link to join the Yahoo group. The mail dated 13th September 2006 was sent to only 25 people who presumably turned up and expressed interest to join the club. Most of these 25 people, if not all, had ended up playing really important roles in the growth of Geekonix and also its brainchild Edge. Brainstorming is an integral part of a discussion. And we did that a lot in the group. We discussed almost anything and everything under the sun in that group (mostly technical). That group was a breeze of fresh air to some of us, I especially remember spending hours going through past messages of the group - looking up unanswered questions and trying to answer them. Being immature and eager to show off, I must have sounded pretty arrogant at my conversations at that time. Still, the conversations kept going, and one day while I was in another boring class, a senior student told me I am being called in the computer lab by 4th-year students. This was my 1st year in college, fresh out of school and still wrapping my head around the concept of ragging. Though I was told it’s just some queries about the posts in the group, I still was batshit scared. And what do you do when you are scared? You bring backup. I grew up in a town called Shibmandir and later moved to the city (barely upgraded to city status) Siliguri. The transition from a nice calm town to a metro like Kolkata and being in Techno India, for me was being fresh out of tea garden to tea pot. Albeit, I am generally good at adapting and hence in the very first week I quickly bonded with a few of my fellow students amidst all the fear of being ragged. Two among them are Ankan Roy Bardhan and Koustav Majumder. 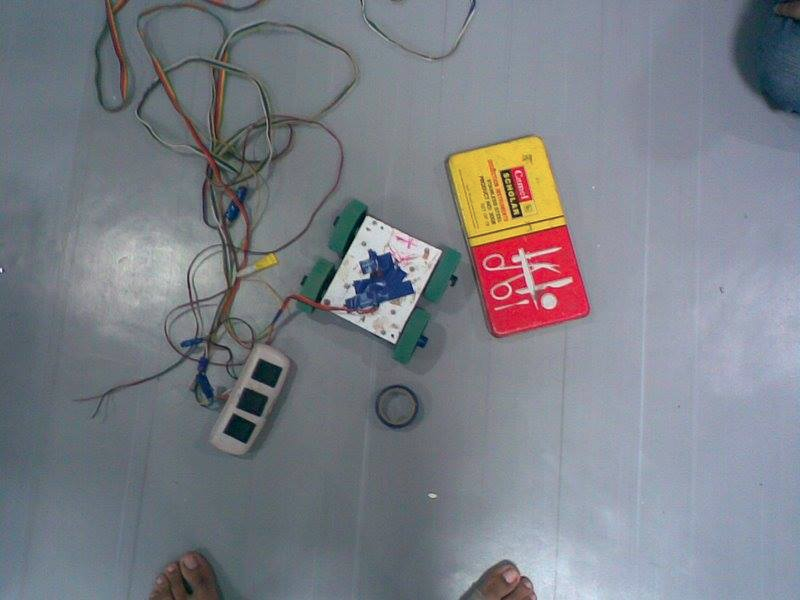 Ankan, specially had a keen interest in technology like me and also had a knack of designing unlike me. I remember him showing me some of his earlier designs of his school logo which he had made using paint and photoshop! I was pretty impressed, as it’s almost impossible for someone to tell apart a tree from a lamppost after I’ve drawn them with a pencil. Let alone using paint or photoshop. So when the need arose, I automatically turned to him asking if he could accompany me to the computer lab. He also knew and kindly agreed to go with me. As it turned out we really were called only to talk and ideate, nothing else. In that computer lab we first met with Jayesh Rajpal, Vivek Anand, Ankit Saraf, Ushree Gupta, Ankita Ganguly, Subhobroto Sinha, Siyanatullah Khan, Pritam Mazumder,Ayesha Chatterjee, Mayukh da among others. They all were there planning for the first ever independent Technological Fest of our college. How exciting! I got to learn a bit more about the history and how Geekonix came to exist. During my conversations and stray emails in the Yahoo group, I came to interact with two people primarily. marilynzparadize (Kaushik Chaudhary) and Subhobroto Sinha. marilynzparadize was among the very first who took interest in my emails and then introduced me to Subhobroto Sinha. I never met with marilynzparadize until two more years since those conversations, but meeting with Subhobroto Sinha was an enlightenment of sorts for me. 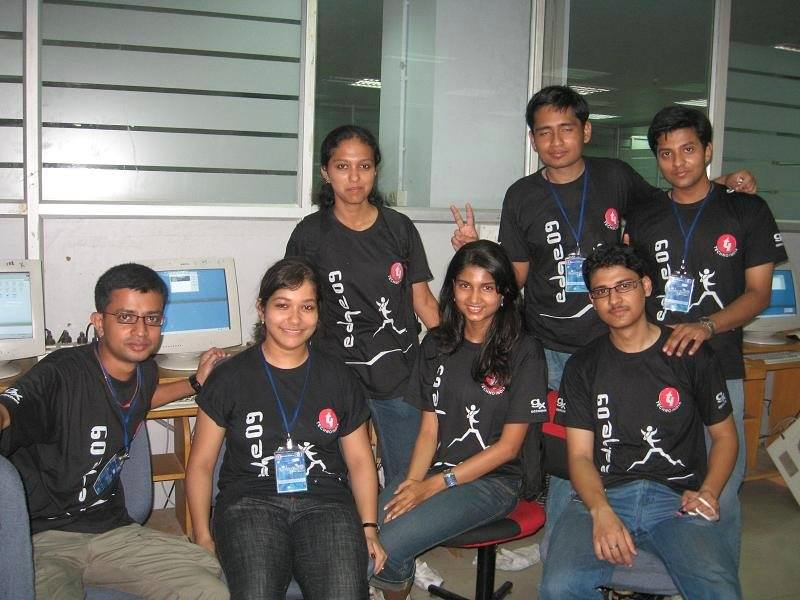 That story apart, these guys along with Swati Handa (2006 Passout), Pooja Di (2007 passout) started a wall magazine, specifically for science and tech. Later in 2005 that became a small chapter, first ever tech fest chapter but as part of Anakhronos, our more popular and established cultural fest. 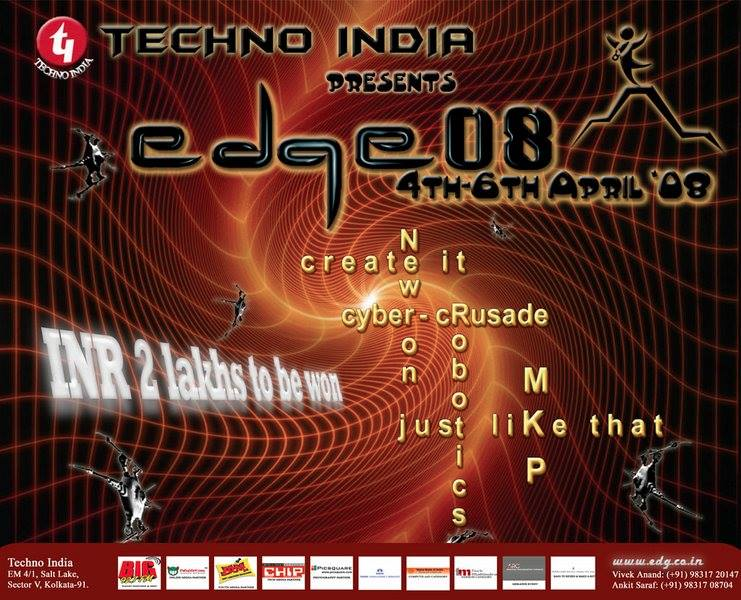 The success and popularity prompted the creation of Edge’07, and that brings us back to that evening, where we still didn’t have a name fixed for the techfest. It turned out Siyannatullah and Ankit da were trying to come up with a website for the event. Me and Ankan quickly jumped at the opportunity. 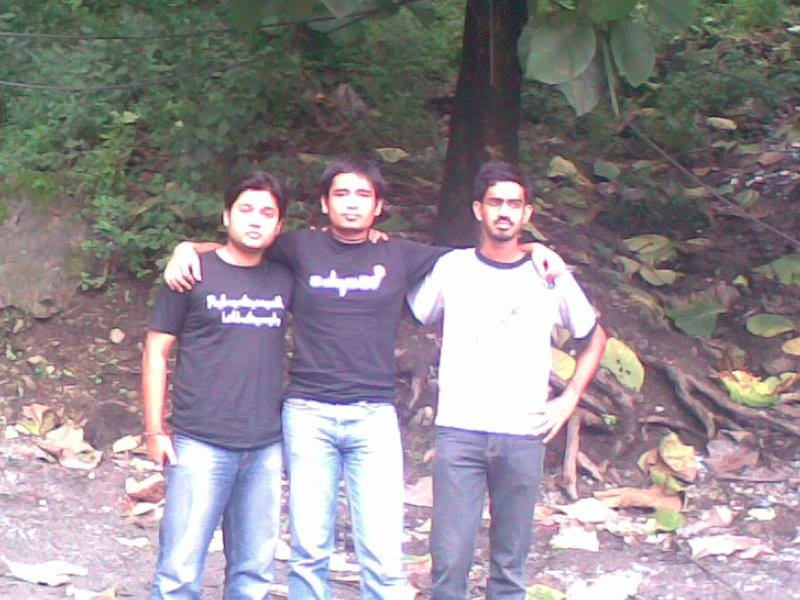 Later Anirvan (Pata da), Anirban Basumallick, Kaustav Das Majumder all joined the force, and we managed to put together our very first website for Edge’07 — Think Beyond. When we all started planning for the event — struggling to figure out how to approach companies for sponsorship, how to actually build a website, how to get domain name, how to get permission from college — we quickly realized we needed a name. A name for the techfest, a brand to portray to sponsors. “Edge” was the brainchild of many, but what I remember now, primarily came to Ankita, Ushree, Alakananda, Ankit and Vivek da. There were other candidates too. But everyone liked the vibe of “living on the edge”. So the journey started for Edge’07 with the tagline Think Beyond. The site was completely written in php, just for the registration and login system. And we had our homegrown online user registration, login, event management system. A snapshot of the site now sits on my machine here. Some of the links won’t work, but the whole site still works surprisingly well, considering it was optimized for…..Internet Explorer 6. Another challenge was to convince Principals of other colleges when inviting them over. None of them were really acquainted or convinced about what a TechFest was, so misunderstandings were very common. We still managed to lug through all of it and managed to make Edge’07 a success. And throughout the whole experience a few heroes emerged, among many of the 2006–2010 batch, special mentions go to Koustav Mazumdar and Ankan RoyBardhan. Their dedications will eventually make them legends later. EEdge eventually matured with each iteration, along with us. It got better (hopefully) and more popular. And we also started to get more confident. But some things never changed, those included trying to make the events better, trying to make the website rival or exceed our idols in IIT Bombay, IIT KGP and their techfests. Our quest to improve never quite died down. 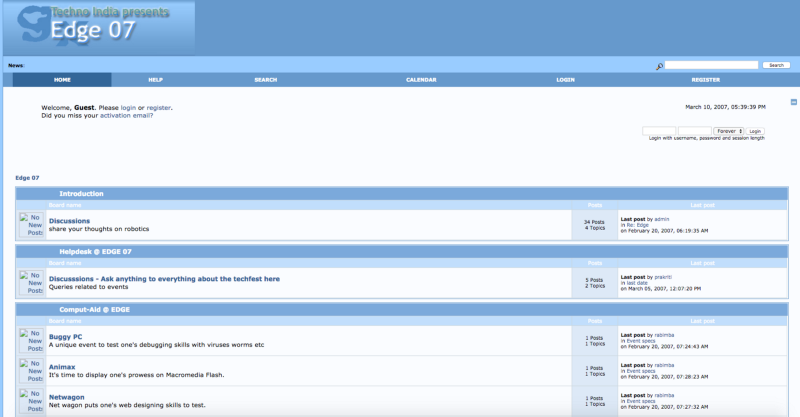 You can see a short example of how the website progressed over the years. We unfortunately had lost all of our old backups. So I had to stitch the 07 and 08 site from cache’s I managed to scrape from Alexa and Coral network crawls. Not very accurate. And fortunately Anirban BasuMallick had a dump of the 09 site which was easier for me to deploy (apart from the php errors). While all this was fun, we also were eager to make our mark outside. As a result a group of us started participating in a lot of tech fests throughout the state and country. And Team Geekonix or as they say Team Techno managed to bag quite a lot of prizes from these events. Failure wasn’t quite an option since it was self funded, and our costs for making robots getting the gears were funded by our winning prize money. One of the crucial parts of being in the science club was to actually participate in these activities. 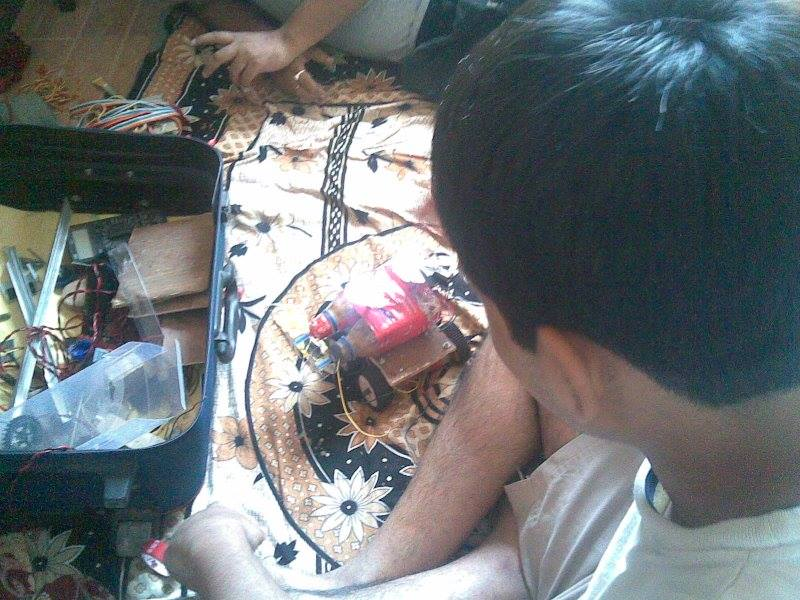 Like designing events like Steal It Away and figuring out a way to get the parts needed to make your robot easily in Kolkata. Unlike IIT-Kgp and a lot of IIT’s we neither had easy access to these gears nor the money to afford to buy them online. We had to figure out ways to bulk order from stores in bangalore who used to subsidize us. One of the primary problems we had faced when we started edge was participation from our own students and definitely sponsorship money. Participation gradually became better when people started to recognize the fest, and attendee participation was never an issue with people travelling from KGP and bangalore to attend the event in it’s first edition too. 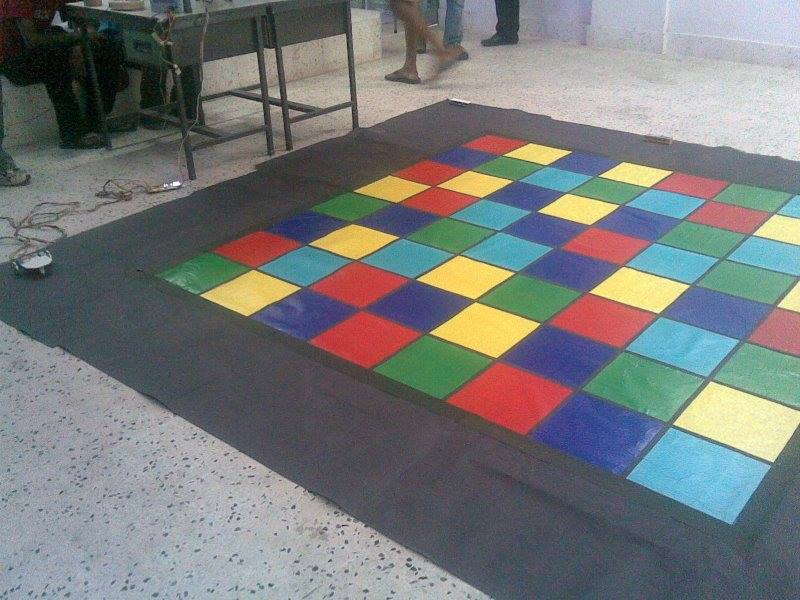 The gaming and robotics events were always a crowd puller, gradually our innovative programming and hacking events became popular as well. By the time we were organizing Edge 09, a couple of things happened. A lot of students who were part of edge and used to hold it very dearly to their heart had graduated and were doing higher studies abroad, working in companies like Microsoft or just simply pursuing their dreams. A couple of them decided they will keep supporting the dream they created, and hence we got our very first Alumni contribution to Edge. This was huge for us. Our sole point of contribution with everyone, including the alumni was our Yahoo group. We used to use it for all our internal communication, be that sponsorship collection for Edge to Website launch to even silly things like why a script was not working. And since everyone was on that group, it really gave everyone a level or perspective on what is going on in Edge/Geekonix that became scarce later on. You can still read some of the feedbacks that were regularly posted in the group. And being involved in the discussions of designing events broadened our view of engineering. What we could do, what is out there in horizon and the knowledge sharing made it incredibly valuable for some of us who would take their life lessons from it. An example is this specific mail thread where some members were trying to come up with an online game challenge for Edge and how to code it, which later became our version of robocode (here if you still want to play and the clients in both windows and linux along with instruction file). If you follow the thread you will see Subhobroto Sinha talking about Semantic Search and Semantic Web — a term Nigel Shadbolt and Tim Berner lee just made popular in their 2006 paper. And he was talking about in in November 2007 from Techno India, where even getting a research paper probably meant searching in torrent or usenet. Almost everything today is Semantic Web. The whole site seemed like a one page template. Which is fine except the menu’s were hidden. Even that is fine but when we clicked on individual events and tried to see event details and rules, it started downloading pdf’s A pdf for each event. Wait…..suddenly it seemed we had taken a step backwards. And then we realized we as alumni, were not actually involved in anything. The Yahoo! group had died off, nobody knew actually what was going on, and we really wanted to help. Before that we thought why not email and see how many of us are still interested in forming an Alumni? That was the beginning. Surprisingly still quite a large number of people really wanted to be in touch and be part of the nostalgia named Geekonix. That was how GeekAlums started. It was not the first try. not by any means. 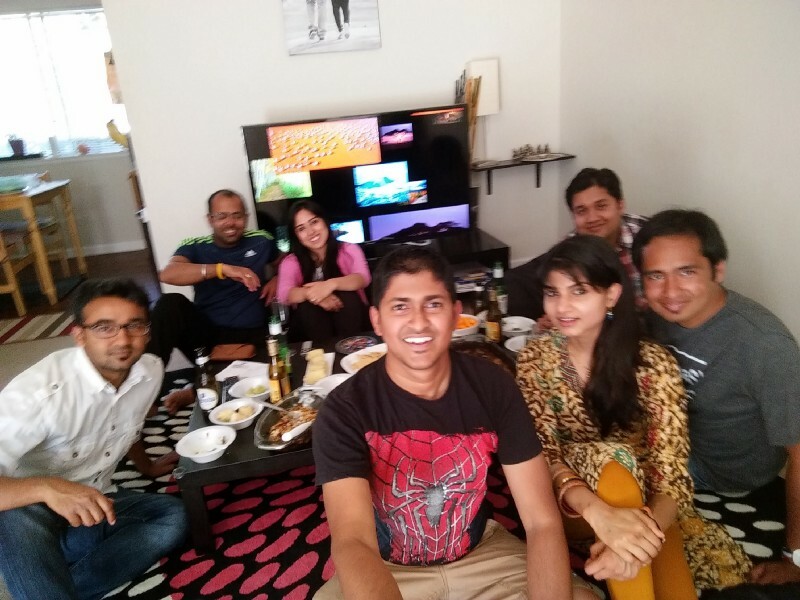 The first try to get an alumni together dates back to 2009, to a now defunct Yahoo! Group. There were more attempts to create and revive one. However the problems ranged from our busy schedule to an uncooperative college who viewed an alumni association as a rival controlling body for the techfest. Frustrated with these hurdles, most efforts died down eventually. But they created the bed stone on which we knew what to expect and what not. So when in 2015 we again rebooted the effort. It was for a different cause, it was to unite the alumni (those who are interested anyway). To have interaction between them, share experience knowledge and maybe even work in a few fun projects together! Hence with the nostalgia of the Yahoo Group still fresh (after 8 years) in our mind we created a Google Group. Quickly some of the people associated with edge through Edge07 to date gathered up in the group. And again we started having thoughts of having better communication with the present batch and provide them with more alumni-esque support. We just had one rule in mind, we will not interfere on their activities. But will just act as guidance iff we are approached. we got a decent amount of interest in our activities and soon GeekXTalk was born. The concept was very simple, we tried to run a seminar where some of us will go and talk on more hands-on topics which would appeal to the current students. Give them a perspective from outside. We tried to make it formal as well, the Alumni Association. A bunch of us got together and made a constitution — GeekAlums first constitution (never utilized). And as usual that was shot down by the college. We still maintained our stance with the GeekXtalk. Siyan da and Ushree di presented the first one. I even got support from Mozilla and presented at the second one with Ankan. Fast forward to 2017,after a lot of online conference calls and discussions, we gradually realized that the interest (again) was fading out. Some of us again had started to feel like the alumni pool being treated as just a cash pool for funding, which in itself wasn’t a bad thing, but defeats the purpose of having an Alumni Association altogether. Also not to mention some of us felt we were called only once a year when it’s needed for a fund and then completely kept out of loop for rest of the year. A lot of discussion and time was poured into it, none of them really yield any result. One point it just turned into a repetitive discussion of missed priorities and even finger pointing to the seniority of the members and their inability to understand what is going on. At the end of the day it seemed our goals and interests are just really not aligned. This is probably the time when I say what happens when you wake up from your dream. Geekonix was a dream a lot of us shared when we were at Techno India, a dream we cherished and wanted others to experience. In the excitement we often forget, that is not what others may want. And guess what, that is alright. What we think important, maynot be the same for everyone. Edge has grown a lot since we had started it, we never thought, had money or even wanted to bring celebrities (that’s what Anakhronos was for). We wanted to grow big and evolve. While I certainly see edge has grown big, but still holding the same events we used to hold 10 years back, with minor variations and even scaling back on some events. While they were innovative at that time in 2007, really feels old and repetitive now in 2017. But this rant was not for edge. This was a monologue to us, what as an alumni we achieved and what I learned from it. While the google group is solely for alumni, if you are a present student and want to have a more immediate, two way chat like conversation with us. Join us in slack and just say a Hi! (geekalums.slack.com). Drop me a comment here with your email and I’ll get you an invite. We do have an interface for auto registration as well. Managed to atleast get two GeekXtalks out and their videos. Episode 1 and Episode 2 are in youtube as well as a writeup of Episode 2 is in my blog. At the end I realized our close little knit group, who still care about the alumni and what we do, is our strength. There really is no need to actually go on a limb and try to offer our guidance anywhere. The fact we thought we could guide anybody was riddled with arrogance to begin with, what we thought as guidance can very well be interpreted as interference by somebody. And that, we really don’t want. As for myself, I will keep on working, teaching, mentoring different groups. Which includes the incredibly talented Mozilla TechSpeakers, The Mozilla Austin Hive Project which recently got a pretty good funding. Also at the class I TA at my school. My side projects and talks will always get reflected in my mozillian profile, website and blog.